This is a copy made in 1565 of a painting by Daniele da Volterra, originally painted around 1541. It is a very famous portrayal of Christ descending from the cross, and was itself based on a drawing by Michaelangelo. It measures 57 inches by 85 inches. The frame is Victorian or perhaps even later. 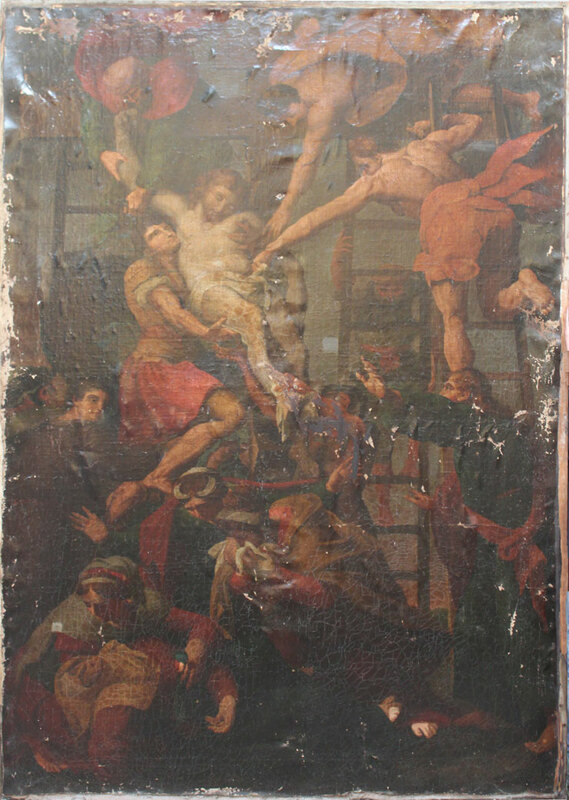 Before it was sent for restoration it had been hanging in a church in Scotland where excessive damp and a leaking roof had caused untold damage over many unrecorded years.